There’s not long to go until our Cocktails & Bridesmaids Event taking place in our Clitheroe boutique next Monday and Tuesday from 4pm – 9pm. We still have a couple of appointments left, so please get in touch if you are wanting to join us. 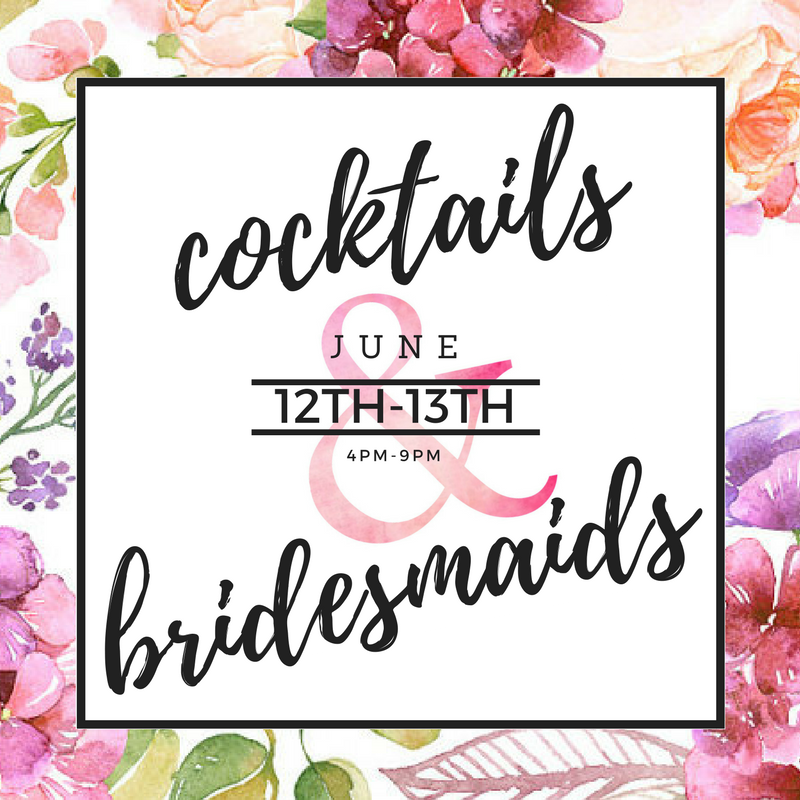 We’d love you all to join us for drinks and to try our amazing range of new bridesmaids dresses, on loan from our designers for this event only. This event is great fun, a chance to get everyone together and celebrate with your bridesmaids! We’re also going to be raising money for JDRF (Juvenile Diabetes Research Foundation) on the night, a charity very close to our hearts. Raffle tickets will be available on the nights and will be £2 per strip. For those of you who don’t already know JDRF, the type 1 diabetes charity, they fund research to cure, treat and prevent type 1. They give support and a voice to people with type 1 and their families, something incredibly close to us all here at Amelia’s. & lots of wonderful treats from local businesses. We hope to see you there, let’s raise lots of money for this fantastic charity.